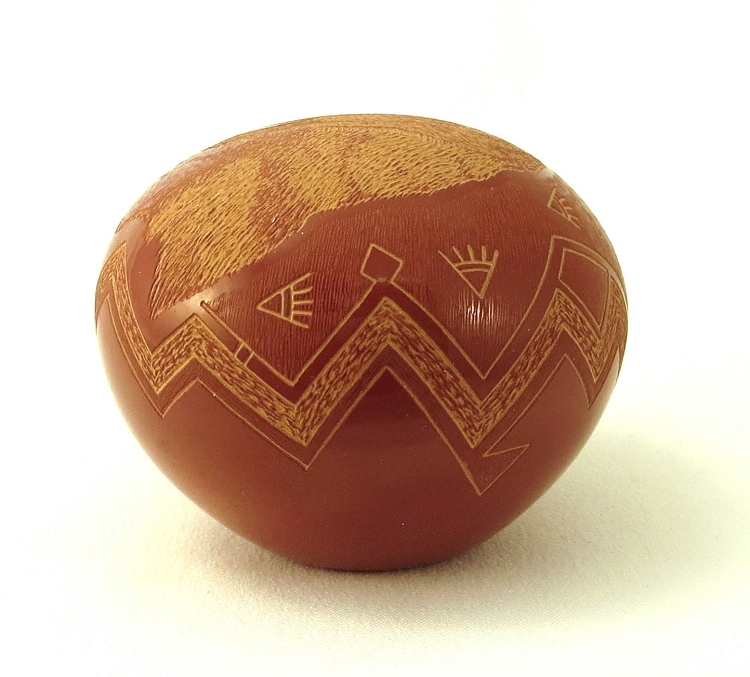 Susan Romero learned to etch her pottery from her father Joseph Lonewolf and signs her pieces with her Tewa name, "Pho-Sa-We" or "Snowflake". Her pottery is highly polished and intricately etched with detailed imagery. 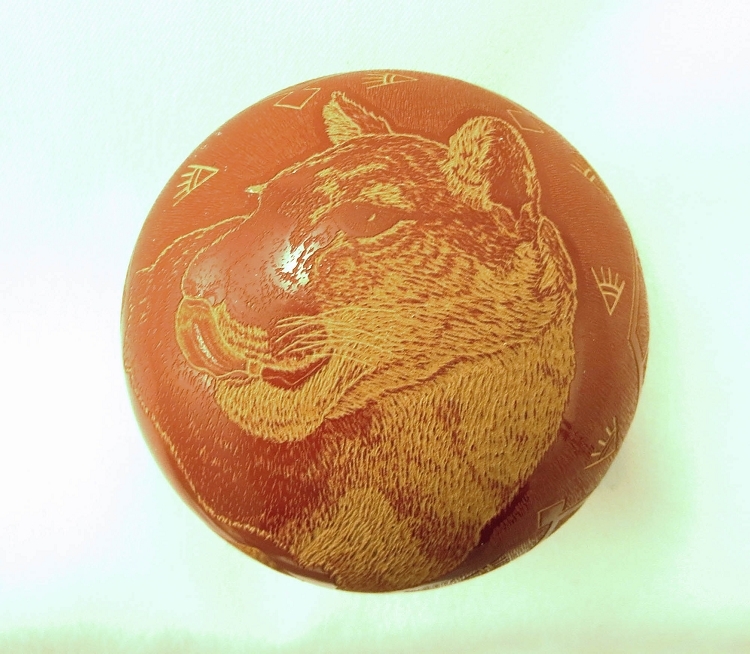 Her techniques of scratching the design into the surface of the clay allows her to create numerous levels by contrasting the color of the clay. The polished, red and tan matte colorations become her palate for the designs.